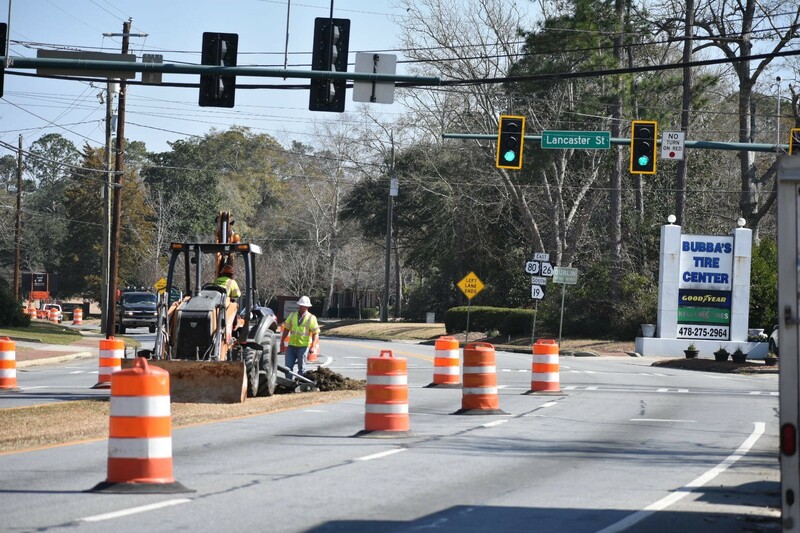 DUBLIN - A Georgia DOT Quick Response project began today in the city of Dublin, closing US 80/Veterans Boulevard inside lanes at Lancaster Street. Reeves Construction Company, Inc. will complete the $178,629 contract to add a new, dedicated left-turn lane heading east to the current signal. Other upgrades by project end feature a four-section arrow signal head for the renovated turn movement and drainage work. All widening for the turn lane will be inside the existing grass median. Expect daily delays in this area as lanes shrink from four to two in both directions. Contract crews will typically remove the barrels at day's end, but due to safety concerns closures could remain longer at times. With ideal weather and progress this contract should be complete in two to three weeks. The Quick Response Program supports operational projects such as re-striping, intersection improvements, turn lane additions and extensions that can be implemented in a short period of time and for under $200,000.